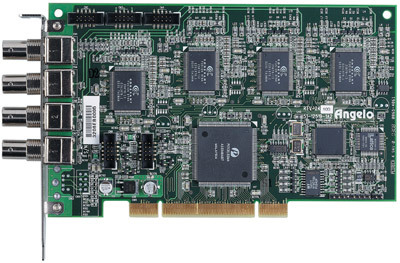 The PCI-RTV24 acquisition board is designed without compromise for machine vision and video surveillance applications. 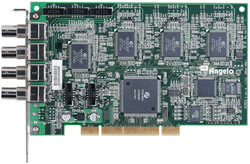 They are the ideal devices for PC-based multiple-channel vision application. The supported resolution is programmable and includes square-pixel (640 x 480 or 768 x 576) and broadcast resolution. Before captured images are transferred to the PC's memory, images can be scaled down using available selectable ratios. System integrators also benefit from a watchdog for fault-tolerant applications and easy-to-use standard connectors.